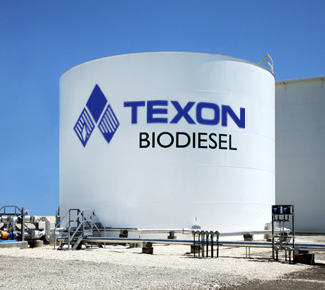 Texon provides single source solutions to the purchasing of biodiesel/renewable diesel, full logistical management, and in-line blending. Texon provides solutions for meeting compliance and quality challenges created by the U.S. Renewable Fuel Standard. Texon’s customized solutions provide blending capability at strategic pipeline locations, are at a single location with terminal operators or within the distribution network of petroleum marketers. Texon provides assistance in developing a program to ensure full regulatory compliance and operational integrity.